You love your dog. You want your dog to be happy. So, you buy the little fellow dog treats. After all, it must be monotonous eating the same bowl of dog food every single day. Even a dog must appreciate a little variety. But not all dog treats are created equal. Each offers its own set of benefits and disadvantages. One of the most popular brand of dog treats is Canine Carry-Outs. Here’s everything you need to know about whether or not this item is worthy of your precious companion. What Is Canine Carry-Outs And How Are They Made? Canine Carry-Outs are a brand of dog treats that come in a variety of flavors for dogs both small and large. The flavors include, but are not limited to, beef, bacon and chicken. They even have pizza and hot dog flavors, so even though your dog has probably never eaten a pizza or a hotdog, they can partake in a treat that tastes vaguely similar. These ridiculous flavors exist primary for the amusement of the owner. In addition to a variety of flavors and sizes, the treats also come in different textures. There are soft treats that your dog will swallow up rather quickly, as well as harder treats that your dog will enjoy chewing on for a longer period of time. The latter are good if you need your dog to settle down or be quiet. All of the Canine Carry-Outs products are made in the USA. This is where all of the ingredients, including the meats, are gathered from. However, a small amount of minor ingredients is from other countries, so the products aren’t completely made in the USA. But let’s be honest. Even the most patriotic dogs couldn’t care less. As with any dog treat, they shouldn’t be substituted for your dog’s actual food. They don’t contain the necessary amount of nutrients to sustain a healthy dog all by themselves. The amount of treats a dog can have without getting sick depends on the dog, so it’s best to discuss this with your veterinarian. However, it’s recommended that dogs over 50 pounds have no more than five treats a week and dogs under 50 pounds have no more than two or three. For those curious, Canine Carry-Outs can be eaten by puppies. Although, you might want to break the treats up into smaller pieces, just to make it easier for the little guy or gal. What Makes Canine Carry-Outs Unique? By design, there’s not much that separates Canine Carry-Outs from their competition, other than the health factor. The ingredients of Canine Carry-Outs aren’t nearly as healthy as some other dog treat options. For instance, the healthiest treats, such as Rocco & Roxie Gourmet Jerky Treats or Newman’s Own Premium Organic Treats, have all-natural ingredients. This makes Canine Carry-Outs akin to a junk food option. It should also be noted that the brand did suffer a setback in 2015 when a social media rumor began going around that the treats were toxic and were causing dogs to get sick. People began to believe that the treats contained anti-freeze, under the pseudonym of propylene gycol. However, this ingredient is, in fact, safe for dogs to eat. According to Snopes, there was not enough evidence of ailing dogs having anything to do with Canine Carry-Outs. Most likely, this is one of those internet rumors that got out of control, due to people engaging in hysteria, as opposed to calmly looking at the facts. How Much Do Canine Carry-Outs Cost? The prices of Canine Carry-Outs vary widely, depending on the size of the bag, the flavor and the style of treat. For instance, 5 oz bags of soft treats will usually cost under two dollars. However, a 2.8 oz bag of hard, bone treats will cost about the same amount. 25 oz bags of soft treats that are flavored with chicken will cost a little under four dollars. However, if the same size bag contains treats that are burger-flavored, then they’ll cost over two dollars more. 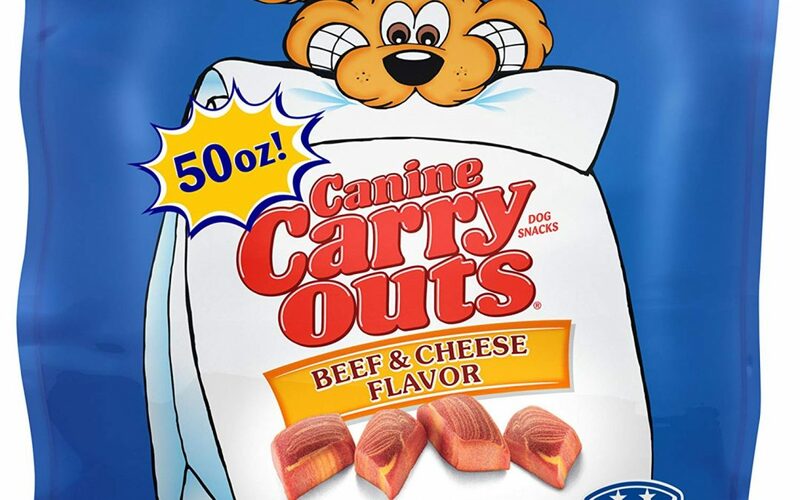 The most expensive kind of treat that Canine Carry-Outs offers is the 14 oz bag of beef-flavored chew bones, which are designed to lost longer than the soft variety of treats. If your dog saves a child from a well, this is the kind of treat you’ll want to have around. What Do Other People Think About Canine Carry-Outs? When perusing the numerous lists of “best dog treats” from known pet-centered publications, Canine Carry-Outs are nowhere to be seen. While this might sound like it’s not a good sign, it should also be noted that the brand isn’t featured on the “worst dog treats” lists, either. Take that for what you will. However, Canine Carry-Outs do have an impressive collection of user reviews, both on Amazon and Petco.com. On Amazon, the treats have even obtained the “Amazon’s Choice” label, which they give to products that are deemed to be of a high quality. User reviews praise the fact that dogs love the treats and that the treats are easy to cut up into smaller pieces. They also speak highly of the treats’ affordability factor. On the other hand, some reviewers take fault with the treats’ ingredients, which they don’t find to be particularly healthy. On Petco.com, Canine Carry-Outs have an average rating of 4.5 out of 5 stars. The user reviews on this site are largely similar to those on Amazon, with many reviewers praising the fact that their dogs loved the treats. Anyone who’s ever been to a pet store is well acquainted with the plethora of options when it comes to your canine companion. Canine Carry-Outs are merely one of many. Now that we know all about Canine Carry-Outs, let’s take a look at some of their competition. Milk-Bone could very well be the most popular brand of dog treats. It’s also one of the oldest, having been created in 1908, more than 100 years ago. It gets its name because a large part of the treat consists of milk. As with Canine Carry-Outs, Milk-Bone treats are not the healthiest option, due to their large list of processed ingredients. However, because Milk-Bone is a larger company than Canine Carry-Outs, they provide a larger variety of dog treat options. One of those options is a variation on their formula called “Healthy Favorites,” which boasts all-natural ingredients with some added nutrients. They also offer brushing chews, which are treats that are not only designed to stimulate your dog’s palate, but also clean your dog’s teeth. This is possible because of the treats’ ridges and nubs, which get inside and in between the dog’s teeth, in the same way that bristles work on a toothbrush. In addition to dog treats, Milk-Bone has their own line of dog toys, as well. This is relevant because many of the toys are designed to fit treats inside of them. 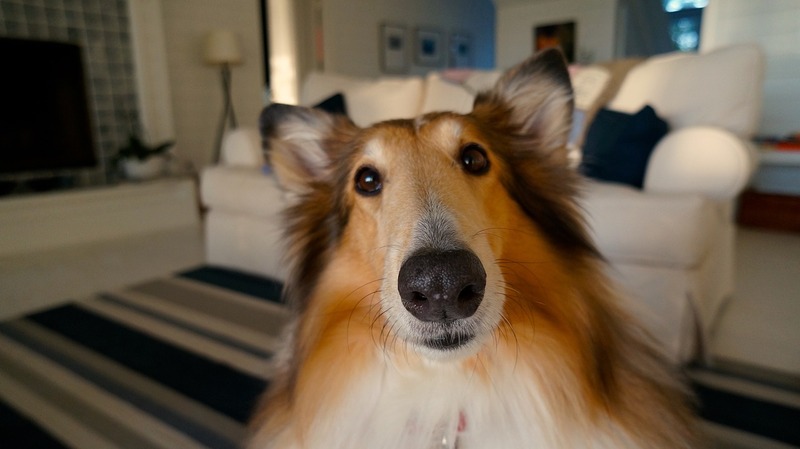 This can create a dynamic where your dog must work to get the treats. Unlike Canine Carry-Outs and Milk-Bone, Greenies build their brand based on being a healthy alternative to “junk food” treats, specifically in regard to dental health. While they’re not all natural, they are one of the healthier dog treats on the market. They’re also known to freshen a dog’s breath, which is something we can all appreciate. Like so many of these brands, Greenies come in three different varieties. The most popular are their dental treats, which are green and sharpened like little toothbrushes. Within this variety, there are a number of varieties having to do with different flavors (blueberry, fresh, original) and different purposes (grain free, weight management, hip and joint strengthening). Greenies also offer Pill Pockets, which are small, cylinder-shaped treats that have a hollow area. This is where the name comes into play. The area is designed to fit a pill, so instead of hiding your dog’s medicine in peanut butter or lunchmeat, you can simply slide it into this unique treat. The third variety of Greenies are Breath Busters, which are specifically designed to target your dog’s awful breath. Like Greenies, Merrick dog treats pride themselves on their healthiness, boasting grain free and gluten free products. They claim their number one ingredient is deboned meat, as opposed to their products being based on processed foods. Their ingredients aren’t as healthy as other nutrition-based treats are, however. Merrick also has a treat designed for dental health that is shaped largely like a toothbrush, called Fresh Kisses. These are not only designed to remove plaque and tartar on the dog’s teeth, but also to freshen breath. These come in a variety of flavors, so even the pickiest dog doesn’t have an excuse to forgo a good teeth cleaning. They also have a line called Backcountry, which are protein-rich treats that feature jerky strips, sausage cuts and patties. These are claimed to be all-natural and made in the USA. In addition to being heavy in protein, these treats are also grain-free and gluten-free, just as their other products. On the stranger side, Merrick also offers something called Kitchen Bites, which are oven-baked biscuits with flavors like Grammy’s Pot Pie. In addition to treats, Merrick also makes honest-to-goodness dog food. So if you’re looking for cohesiveness in your dog’s diet, Merrick might be the way to go. Perhaps, Blue has the largest variety of dog treats available. For what it’s worth, they also provide cat treats, which, in the spirit of transparency, you might want to communicate to your dog. Hard-headed canines might shun any product that associates itself with cats. Kidding aside, Blue’s treats range from “junk food” options to healthier options. For instance, its Health Bars contain more natural ingredients than the average Milk-Bone or Canine Carry-Outs product. On the other hand, Blue also offers Sizzlers, which are shaped and flavored after bacon. This might not be the healthiest option, but it will get your dog’s tail wagging. Blue also has a sub-brand called Blue Wilderness, which specializes in meat-rich foods. These products are totally grain-free and contain no artificial preservatives. They also contain a unique blend of vitamins that can’t be found anywhere else. Just like with the other treats, these come in a variety of flavors, such as Bayou Blend, Denali Dinner and Snake River Grill. These Blue Wilderness treats are going to cost more than the regular variety, as will the Health Bars. There’s a price to pay when looking to get your dog on a natural diet, just as there is with humans. What Do We Think About Canine Carry-Outs? Now that we know all there is to know about Canine Carry-Outs and their competition, we can come to some conclusions. First of all, Canine Carry-Outs don’t seem to offer anything that the competition can’t also provide. Sure, they’re made primarily in the USA, but that has little impact for your dog. It’s also important to know that the brand doesn’t appear on any “best of” lists or “worst of” lists, which indicates that it’s a perfectly reasonable option for those who don’t wish to spend top-dollar for the finest dog treats. They might not be the healthiest choice for your dog, but as long as you only give them the recommended amount of treats a week, there shouldn’t be any problem. The extremely positive user reviews should also be taken into account, but with a grain of salt. After all, any dog owner knows that you could wave a dirty sock in front of the dog’s nose and they’ll go crazy for it. The primary focus for dog treats should not be the dog’s reaction, but the healthiness of the treat and the affordability. There was the issue of the potential danger of the brand, but some fact-checking finds there’s not enough evidence to support this claim. With this knowledge at hand, it’s easy to deduce that Canine Carry-Outs is a serviceable dog treat option.